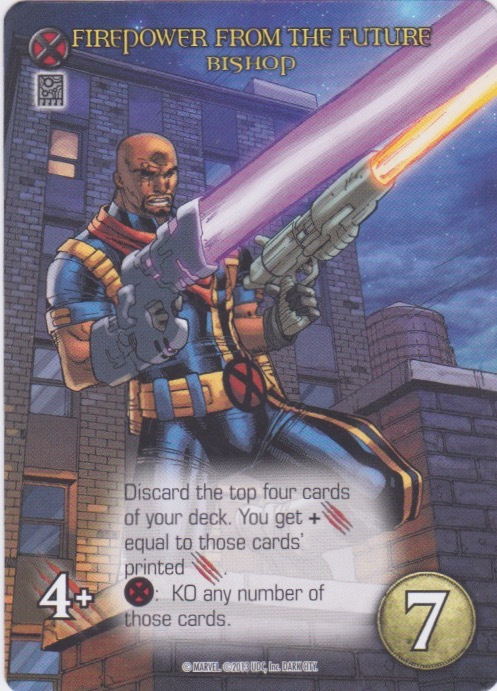 Discard the top four cards of your deck. You get + Attack equal to those cards' printed Attack. 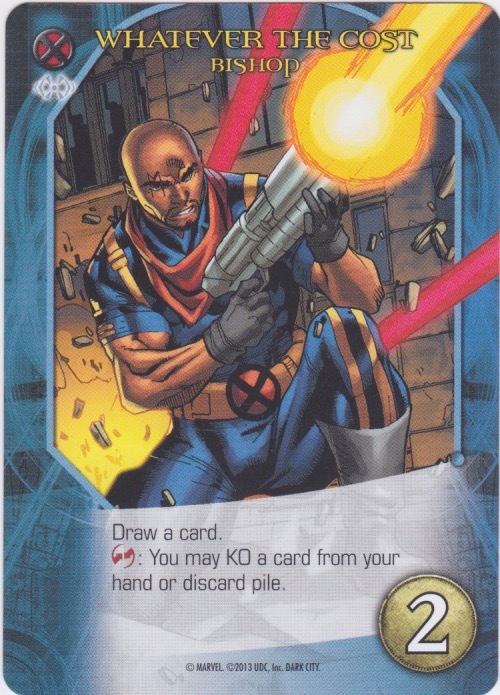 X-men: KO any number of those cards. Ranged Ranged: You get +3 Attack. 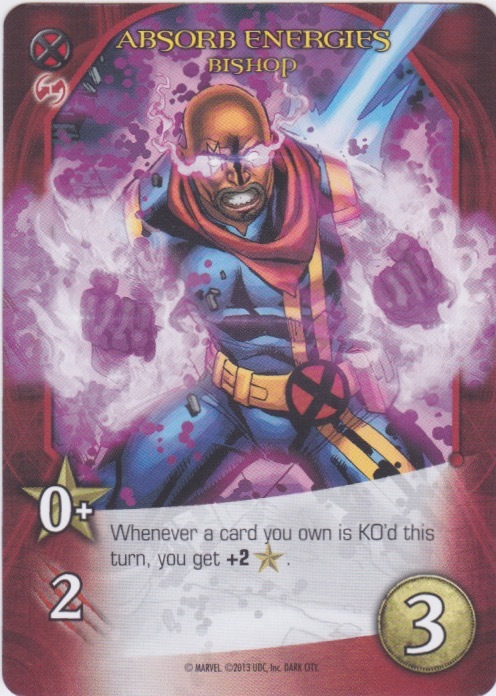 Whenever a card you own is KO'd this turn, you get +2 Recruit. 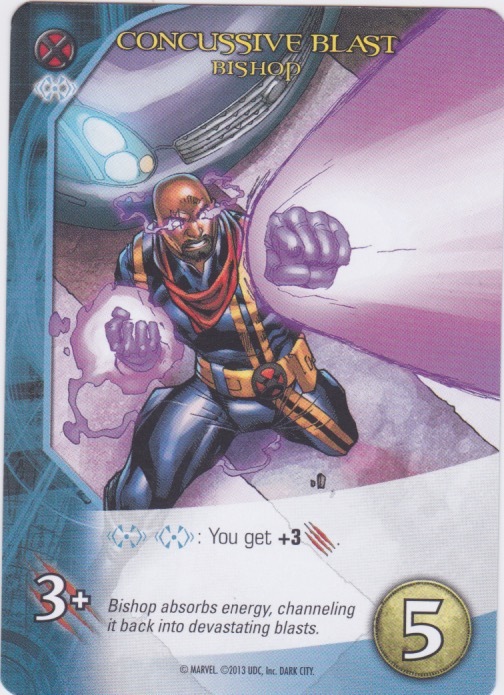 Covert: You may KO a card from your hand or discard pile.